At least 35 people have been killed in fighting since Haftar's forces launched their assault Thursday, Libya's unity government said, while the UN says thousands have been displaced. Haftar, a former Kadhafi military chief, has emerged as a major player, his self-styled Libyan National Army backing an administration in the country's east in opposition to the UN-backed unity government based in Tripoli. Having seized control of much of eastern Libya and buoyed by a series of victories in the desert south, Haftar turned his sights on Tripoli this month, vowing to "cleanse" it of "terrorists and mercenaries". After a pause overnight, fighting resumed Monday morning around the capital's destroyed airport, some 30 kilometres south of Tripoli, and the rural area of Wadi Rabi further east. The US has appealed for an "immediate halt" to combat operations and the UN Security Council has called on Haftar's forces to halt their advance. 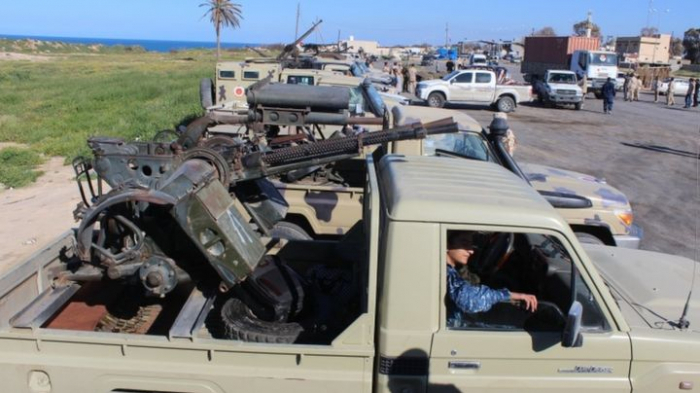 Fierce clashes Sunday near Tripoli saw Haftar's fighters and an array of powerful western Libyan armed groups exchanging fire including air strikes. Forces backing the Tripoli-based Government of National Accord on Sunday announced a counteroffensive named "Volcano of Anger". The UN mission in Libya said on Twitter that Salame met Monday with unity government head Fayez al-Serraj in Tripoli to discuss how to "assist at this critical and difficult juncture". Libya's UN-backed government says 21 people have been killed and 27 wounded in fighting near the capital, Tripoli, BBC reported.